You are here: Home > Latest Reviews & Features > Thinking about shutters? One of the most popular window treatments around continues to be shutters. Meet local business The Traditional Shutter Company London, a quality shutter provider with timeless style. Making the decision to install shutters in your property is an investment so knowing you are in safe, experienced hands is – like anything to do with your home – of paramount importance. 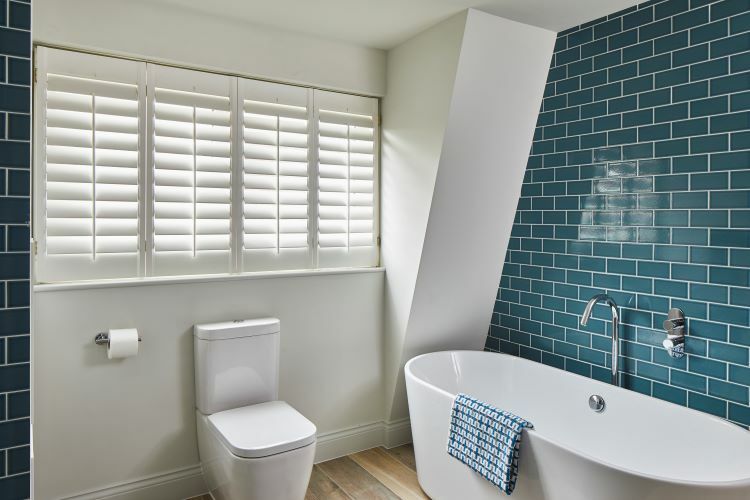 The Traditional Shutter Company London always aims to provide the right product for an interior scheme, completely custom-made, handcrafted and delivered on time. Founders Ted and Nina Tilev have developed an extensive range of shutters since they established their company in 2010. “Our objective is to offer our customers the widest possible choice in terms of materials, colours and finishes,” explains Nina. “And we specialise in providing exceptional quality and choice at a reasonable price.” A large variety of selected materials, colour matching and stained wood finishes are available. 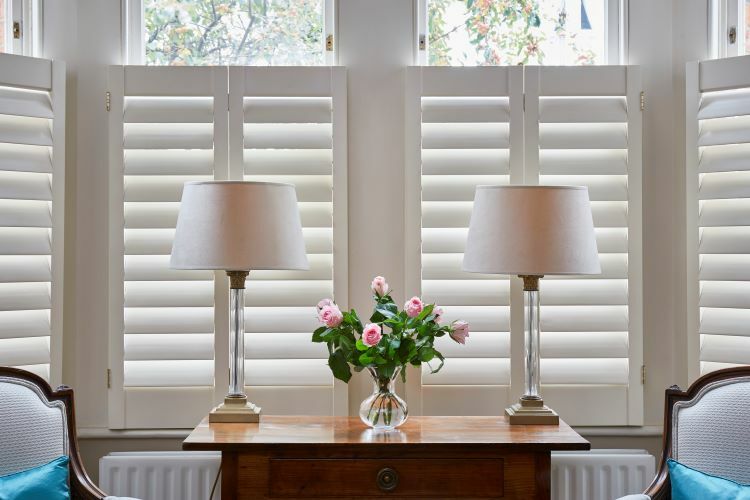 From an initial site visit and conversation, Ted will suggest various options which can be discussed and tweaked exactly as you wish as all shutters are truly bespoke. 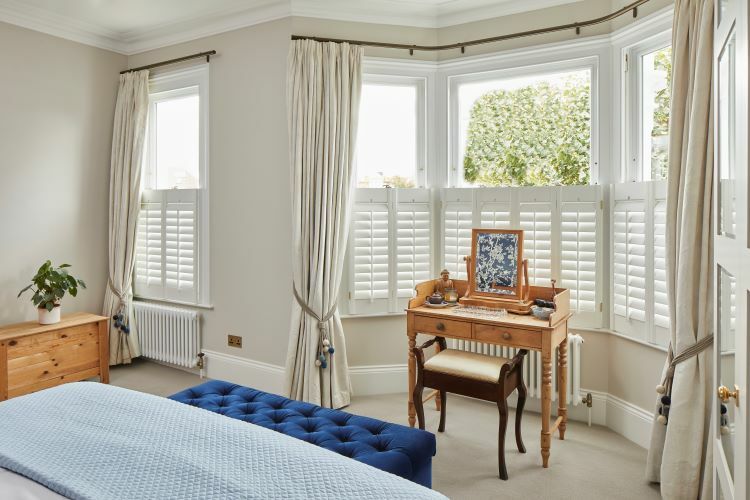 “Our shutters are individually designed, precisely measured, handcrafted in our own factory and installed by our experienced fitters,” Ted says. By controlling the design, production, delivery and installation, the business can offer swift lead times of four weeks. “Our products are made to measure in any shape or size, no matter whether a window is curved or even if it opens inwards.” The company’s factory is in Bulgaria, a country with a history of excellent craftsmanship and carpentry. 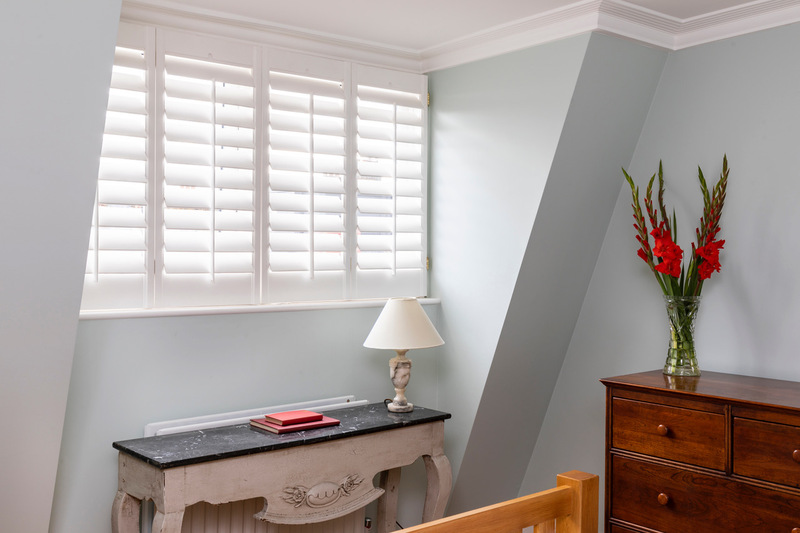 “We have high quality control and a motivated team so our shutters meet our high standards,” says Nina. The range has evolved to include traditional full-height designs, half-height café styles, skylight-friendly options and even solid panels, all of which come with fully concealed mechanisms or the traditional rod system. Recently, Ted and Nina have expanded their offering to include roller and venetian blinds and room separators, which are popular for dividing up large open-plan spaces. 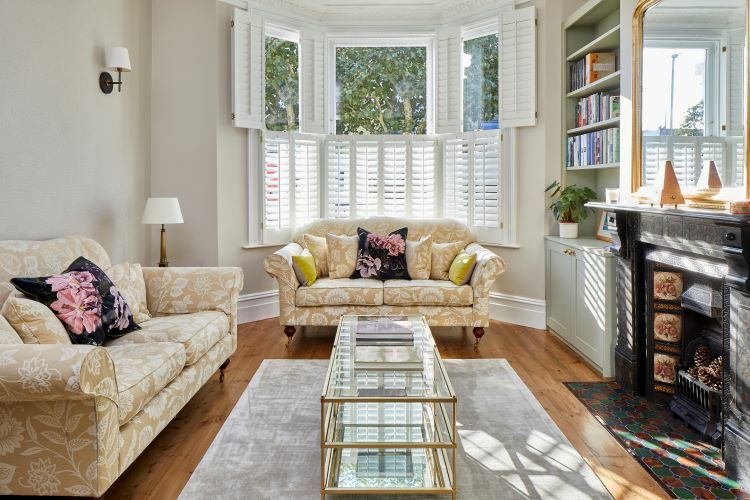 Whether you want something classic and traditional or modern and contemporary, whether it’s a bay in the lounge or a nursery sash, The Traditional Shutter Company London has the window treatment, expertise and high standard you are looking for. “We always aim to provide the right product for your interior space,” says Ted.